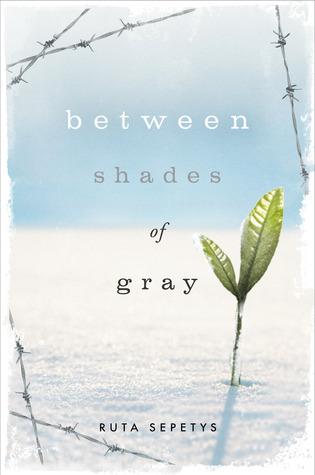 Between Shades of Gray is a riveting novel that steals your breath, captures your heart, and reveals the miraculous nature of the human spirit. A little before WWII, my great grandma was in Germany and was trying to get her mother out. She ended up hiding a jewish family, before she was caught. My family to this day, doesn't know what happened to her. She disappeared like many people in Europe did at that time. My grandpa also was awarded a few Purple Hearts for fighting in Normady in WWII. I am really interested in this time period. I first read Anne Frank, when I was ten and I loved it. My dad mentioned Stalin several times, while I was reading it and I later went and read about his purges. I was shocked that someone would kill someone over something that they had no control of. I am really excited to read this book and you can watch an amazing video from Ruta, here. Wow! I love art and I love stories set in Russia. I went there last year, and the country is amazing! One of the fascinating treks was our visit to the Museum of the KGB. Your family story is amazing too. Shades of Gray sounds like a book I should buy when it comes out. I got an ARC of this last week and I'm SO excited to read it. It sounds truly remarkable.